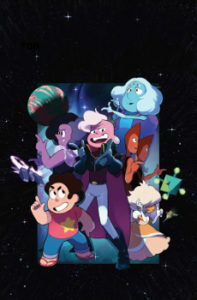 Alright, we’ve had a few days to mentally process Diamond Days, so now it’s time to cover another announcement that was made recently: starting with issue #25, the main Steven Universe comic series will feature a storyline about Lars and his off-color crew. From the announcement it sounds like we’ll be getting Lars’s perspective on the events of Lars of the Stars, then follow him and his crew for some brand new stories. We love the slice-of-life stuff from the main comics, but this story arc promises to be a good substitute. Issue #25 releases on February 27, 2019.